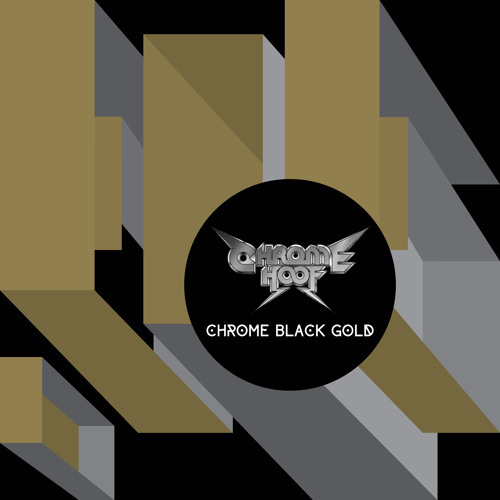 PRE-ORDER/PURCHASE 'Chrome Black Gold' by Chrome Hoof @ AMAZON (digital & physical): http://amzn.com/B00EFWSY84 ITUNES (digital): https://itunes.apple.com/us/album/chrome-black-gold/id687554712 BANDCAMP (hi-fi digital): http://cuneiformrecords.bandcamp.com/album/chrome-black-gold "...has the subtlety of Can, the pomp of Pentagram and Sabbath, faithfully reproducing the looping musical themes of Magma and Goblin..." – Kenny Anyway, Don’t Panic "...a dizzying, many-limbed whirlwind of space-funk, soul, prog, jazz and titanic doom." – Emily Mackay, NME "...a mind-blowing energetic mix of math-rock, prog, funk, disco, and psychedelia [with] some hints of jazz and metal.” – Laura Lotti, The 405 "Are Chrome Hoof the best live band in the UK...?" – headline from The Quietus There are solo performers, duos, and bands, and then there are concepts, bigger than and beyond any particular singer, central instrumentalist, style, or ego. Chrome Hoof is one such concept, an evolving organism whose singular approach spans progressive rock, electronic dance music (especially electro), metal, funk, classical music, and more. Like Sun Ra, Magma, Trans-Global Underground, Frank Zappa’s Mothers of Invention, and Afro-Celt Sound System, Chrome Hoof is an ever-developing affair, unpredictable yet with a drive and focus that makes their music (like the aforementioned icons) truly memorable. Moreover, Chrome Hoof serve up their sonic gumbo with a truly theatrical flair evoking the spectacles of Devo, Gong, Parliament/Funkadelic, Hawkwind, and Sun Ra, transporting their audiences on a Trip Into the Beyond. The result is a one-of-a-kind, hugely entertaining, nitro-pop, electro-metal, synth-pop, sci-fi, space-disco, psyche-Dalek spectacle! Founded in 2000 by Leo & Milo Smee, current members include Leo Smee (the long-serving bassist of Britain's doom-metal heroes Cathedral), bass, guitar, and synthesizers; Alex Thomas (Squarepusher, Air, John Cale, Asia, Bolt Thrower), drums; Emmett Elvin (Guapo), keyboards; James Sedwards (Guapo, Nought), guitar; Andrew Gustard, guitar; Chloe Herington (Knifeworld), bassoon and saxophone; Sarah Anderson, violin & viola; Chan Brown, vocals, and Emma Sullivan, Vocoder, trumpet, vocals, and percussion. Chrome Black Gold, their 3rd full length album, finds the group calling upon some of the UK's most prolific musicians for this latest slab of music! Guests include the fabulous vocalist Shingai Shoniwa (Noisettes) and Jeff Walker (Carcass). The Hoof spring into action like the finely honed pan-galactic touring machine they have become, their spectacular and unique shows now the stuff of legend Across the Multiverse. Having spread its feverish, exultant gospel across Europe, headlining a multitude of festivals, and with this powerful, new album backing them up, their hugely engaging and fun prog-psych-house amalgam is primed to dizzy and delight ever newer, ever larger audiences! This vocal section sounds so similar to Bjork, amazing! i love it !!!! wonderful music! !